Interpreting 101: To mouth or not to mouth? Two Saturdays ago, I was privileged to be invited in a workshop on disability in the Philippines sponsored by the Australian government. Since I’m used to attending these seminars with few or no representation from the deaf community, I decided to come with a deaf person with me, Jerome Marzan. He is a trainor in our school and at the same time a deaf leader in his hometown. It’s not a problem if I would interpret for him. It’s important that the deaf are represented in forums like these which aims to uplift their well-being through education. Breakaway groups were formed. 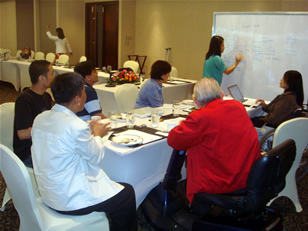 We joined with the Alternative Learning System for PWDs group. Deaf education was brought up and criticized. Sign language became an issue. One of our group invited a representative from the Department of Education to shed light on the matter. She passed the blame on teachers using sign language. 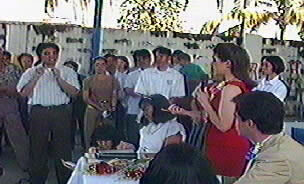 She said that the DepEd is advocating for TOTAL COMMUNICATION and MOUTHING WORDS must be emphasized in teaching. She even commented that the interpreter hired by the organizer was a “pasaway” (too stubborn) because she signs while her mouth is closed. Ouch! In my previous blog entitled Common Misconceptions about Deaf People, I mentioned that NOT ALL DEAF PEOPLE CAN READ LIPS. Lip reading is a high level skill. Not everybody has this ability. This brings me back to my title question, to mouth or not to mouth? 1. Specific Situations of Interpreting – Will I be interpreting in a legal situation? Medical? Religious? Job placement? Schools? Once I have established the condition, then I may adjust as to its needs and requirements. 2. 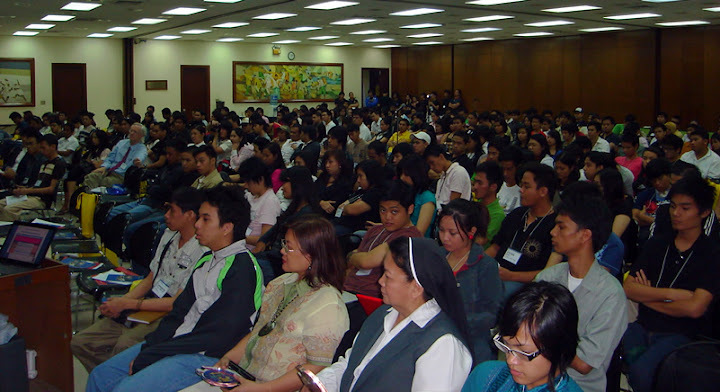 Size of Interpreting Area – Will I be interpreting on a large congregation in an auditorium? A 15-seater classroom? Or a one-on-one session? Mouthing words in a large gathering is almost useless because they cannot see the movement of your lips, unless you are beamed to a white panel screen where your face can be seen from afar. 3. Educational Background of the Deaf – This proves to be the most difficult element when interpreting because of the diversity of the community. If you are interpreting on a school setting, you are most likely in front of deaf students with more or less the same cognitive levels. Church or social community gatherings are the hardest place to interpret because you can only guess the general educational background of the audience. 4. Language Used – The Philippines is a bi-lingual country. English is the medium of instruction in schools and government. We are the fifth largest English speaking country in the world with 52% of the population are English users. 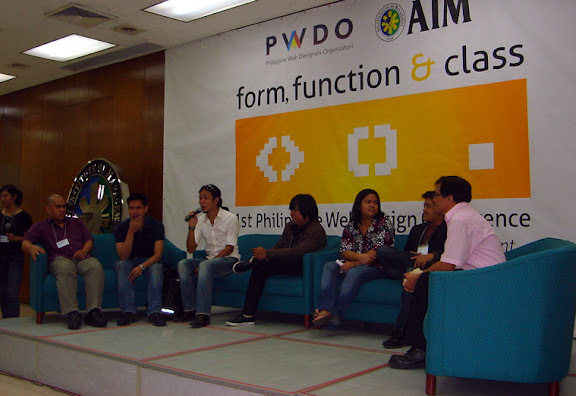 Filipino or Tagalog is widely used language for the rest of the sector including the very basic environment, the home. Since a pre-lingual deaf learns their first language in school, they would most likely acquire English. It may be fortunate if the speaker uses English for the whole duration of his talk. The SL interpreter can mouth every words. Now what if he intermingles the two languages? Worst, what if he uses straight Filipino? 5. Orientation of the Deaf – There are cases wherein we may encounter deaf people who are orally oriented. In this situation, mouthing words would be very beneficial. But then again, we might also consider element #3 wherein the speaker may use one or two languages. Another situation may be for deaf persons with severely restricted language skills. Since a low verbal deaf may not have attended formal schooling, they encounter mostly hearing people in their community. Chances are, they are most adapted to lip reading. Some parents and educators favor total communication as a catch-all that ensures that a deaf child has access to some means of communication (speaking as needed, or signing as needed). For example, a deaf child who can not communicate well orally gets the additional support of sign language, and vice versa. Using total communication can also reduce the pressure on parents to choose one method over another. However, she also mentioned about its disadvantages. She said that signing and speaking at the same time can result in a compromise that affects the quality of one or the other. This can impact the quality of educational information received by a deaf student. I hope that the people who run the Department of Education would make a more thorough research and study on this. I also hope that they would have an open mind and consider other aspects in handling students with various language acquisitions.